Dog Sweater. Designed for Dachshunds - adaptable for all breeds. This comfortable-fitting hand-knitted dog sweater is lightweight, yet warm enough to keep them comfortable on those chilly days. All sweaters are handmade in crochet in one solid color. Available colors shown in photo 3. Our dog sweater is custom-made by hand to fit your Dog. Don't waste your money on pre-made sweaters that are made to fit a variety of different sized dogs. Our sweaters are hand-tailored to fit one dog only - YOURS, offering the BEST FIT possible for your pet. Sweaters are 100% acrylic which is easy to machine wash and dry. Please allow 7-10 business days to make your custom-made dog sweater. 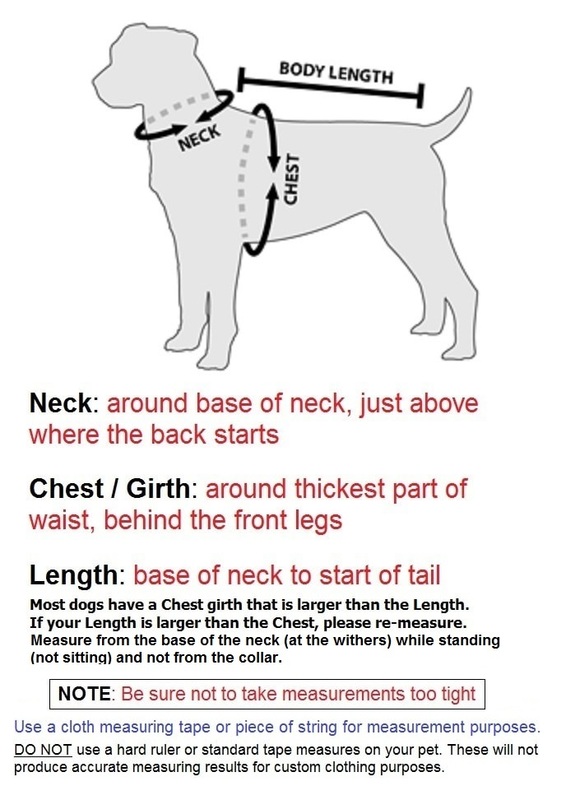 BE SURE TO MEASURE CAREFULLY. THERE IS A $12 ALTERATION FEE FOR MODIFYING A SWEATER RETURNED DUE TO INCORRECT MEASUREMENTS. Pink sweater is fabulous on my mini doxie! High quality, beautiful workmanship and fabulous colors to choose from! Bought this in red. Fits perfect and my Doxie loves it. Perfect for these chilly winter days. We ordered our 2nd sweater for our dachshund Bella. I love that they are made to fit her measurements. Her body is so long and we couldn’t find one to fit her. Thank you so much for a great product.